Facial masks are an important part of most women's skin care regimens. Depending on the ingredients, masks can hydrate skin, clean pores, and fight acne. Ideally, you already have an effective skin care regimen, consisting of cleanser, toner, moisturizer, and sunscreen. A mask does not replace your existing skin care products; rather, the mask should work in conjunction with the other products. In fact, the right mask can actually improve the performance of your other skin care products. By removing impurities and opening the pores, masks allow cleansers and toners to penetrate skin for a deeper cleanse. Wash the face and neck with warm water (this opens the pores) and your usual cleanser. Pat the skin dry--do not rub. Spread the mask over the face and neck. With most products, a thin layer is adequate. Be careful to avoid the eyes and lips. Let the product dry on the skin. Rinse off the mask with warm water or peel it off, depending on the type of mask used. Use your toner, unless your skin is dry. Then continue with your usual regimen. Fresh Rose Mask: Uses crushed roses, rose water, and cucumber to tighten pores and hydrate skin. It is gentle enough for daily use. Astara Activated Sea Mineral Mask: Uses kelp, sea vegetables, spirulina, jojoba, and other natural ingredients to exfoliate skin and boost antioxidants. Joey New York Pure Pores Masque: This clay-based mask utilizes camphor and sulfur to clean clogged pores and absorb oil. If you want to save money, it is easy to make facial masks from ingredients you already have in your pantry. Although many people report excellent results with homemade skin care products, your results may vary. Problem skin, especially, may benefit from store-bought or prescription products. Basic Oatmeal: Start with three teaspoons of oatmeal. Add warm water gradually and mix until a smooth paste forms. Oatmeal and Honey: Start with three teaspoons of oatmeal, then add honey gradually until a smooth paste forms. Oatmeal and Yogurt: Mix two tablespoons oatmeal and two tablespoons of yogurt together in a bowl until the concoction is creamy. Not all masks are suitable every skin type. Opt for a mask that is appropriate for your skin type and offers optimal benefits to improve its overall health. Acne prone: Look for mask treatments that contain honey, which soothes and smooths the skin. Another effective ingredient for acne-prone skin is cinnamon. Cinnamon is an astringent that gives skin a deep clean. Sensitive: An effective choice for sensitive skin is rose clay. A rose clay-based mask mixed with avocado and chamomile oil can calm redness and soothe irritation. Dry: Don't dry the skin out further with a harsh mask. Milk- and yogurt-based masks are gentle and exceptionally hydrating. 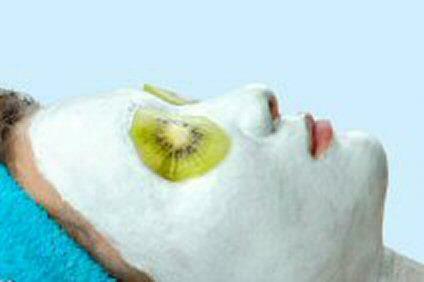 Normal: Fruit masks are a great option for normal skin types. Try an apple or strawberry mask (simply mash and blend with a gentle oil or honey). Combination: Go bananas with a fresh mashed banana mask. A drop of sandalwood oil and honey creates a rejuvenating mask that degunks pores and hydrates dry spots. Give yourself a treat by using facial masks weekly. Not only will your skin feel smoother and healthier, but you'll also enjoy the therapeutic benefits of regular pampering. Even if you have a busy schedule, spoil yourself - and do right by your skin - with your favorite store-bought or homemade facial mask.